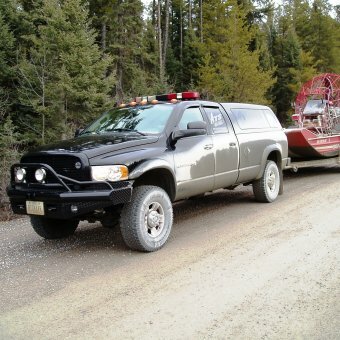 I travel up to Northern Canada twice a year to conduct ice rescue and airboat rescue classes at Musselwhite Gold Mine. The roads get progressivly worse the farther North one travels. The last 150 miles are called outback roads and are all gravel. Needless to say, the rocks flying off the tires really started to destroy my lower body panels. I had Fosters Auto Body spray the lower portion of my truck, the fender flares and directly behind the flares with your product. 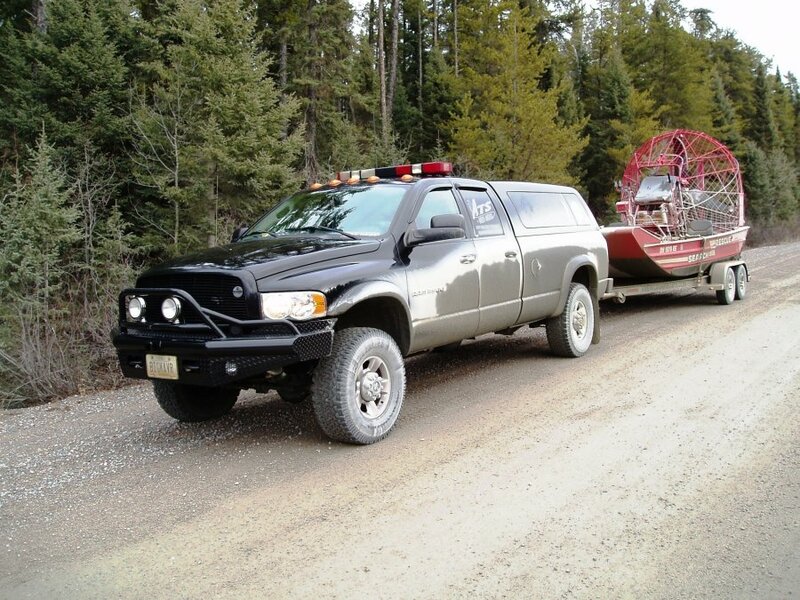 As you can see by the attached photo, the truck gets worked pretty hard. It's been three years now, and the covering looks as good as new. My vehicle's body panels are being protected and as a added benifit, it's quieter too. Thanks for a great product. 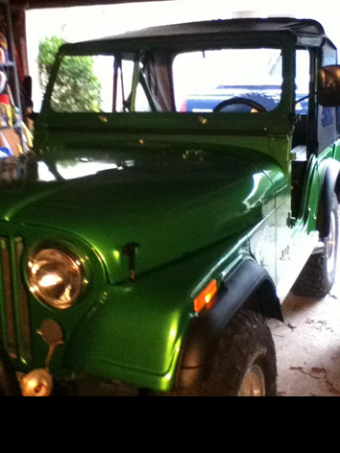 I have a 1981 Jeep CJ5. It originally had carpet on the inside, but I pulled the carpet out and had the interior of the tub Rhino Lined.It has been a great investment as it makes cleanup easy and I don't have to worry about mildew after getting caught in the rain. My truck was involved in a major accident (hit by a train) but despite my truck being completely totaled you can see - the Rhino Lining never separated from the bed. In some spots it might have ripped - but that was only because the metal underneath ripped - the Rhino Lining stayed attached. To say I was impressed would be an incredibly understatement. 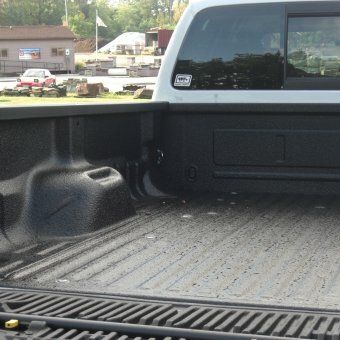 My next truck's first stop will be at the Rhino Liner dealership!! Thanks for a product that really does what it claims - and then some. When it came to lining my show truck, Rhino Linings was MY choice. Sure, there are other liners out there, but they're not Rhino. Rhino Linings gave me the protection I needed and the show quality I wanted. The superior color match of my Rhino Linings is what puts my truck on top. My 1999 Ford F150 bed looks almost just as new as the day I bougth it and had it sprayed. The entire bed does not have a bit of rust or issues with lining. Only wish I had the whole truck done....lol. Just traded the vehicle today for a new 2011 F150 and plan to have this one sprrayed as well. My rocker panels have rusted through and I have 186,000 miles on the vehicle. If it hadn't rusted I'd still keep it. Maybe I'll have my rocker panels sprayed also. This is my second truck with a Rhino Liner. The old one stood the abuse that I gave it and when cleaned still looked like new. Great product. I highly recommed Rhino Lining to everyone. 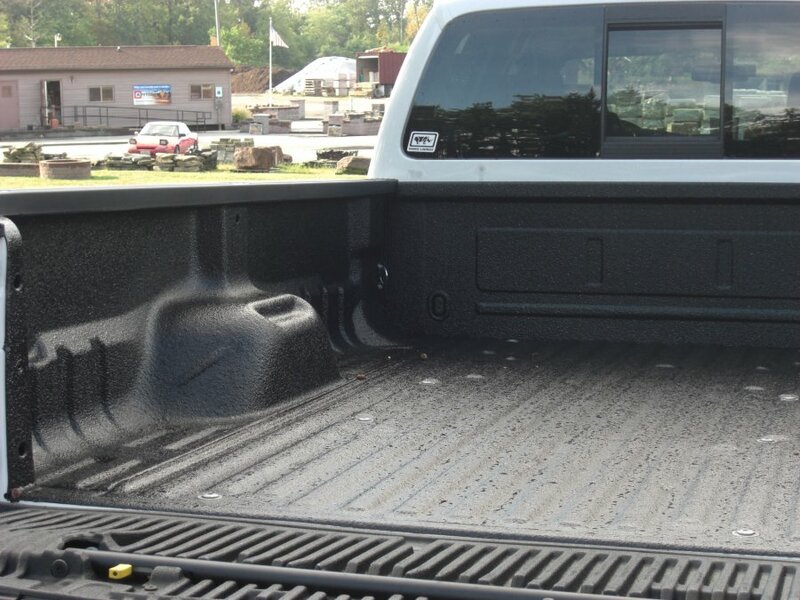 I have the Rhino linings on my 2004 F 350, p/u bed & custom made front & rear bumpers. I love it. It's tough & durable. But looking to re-new the finish especially on the bumpers. Is there a do it yourself application available? Color match would be great. 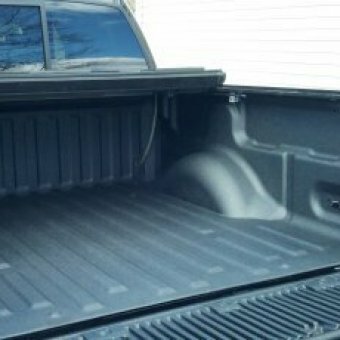 I recently got the 8ft bed on my 2010 silverado and tool box sprayed, it was my first rhino lining on any vehicle I've ever owned and I have to say I am nothing short of amazed with the quality and workmanship that I received. I am extremely happy with the looks and feel of it and would highly recommend the shop I went to and the rhino lining itself to anyone looking for a high quality product. Thanks rhino !!!! 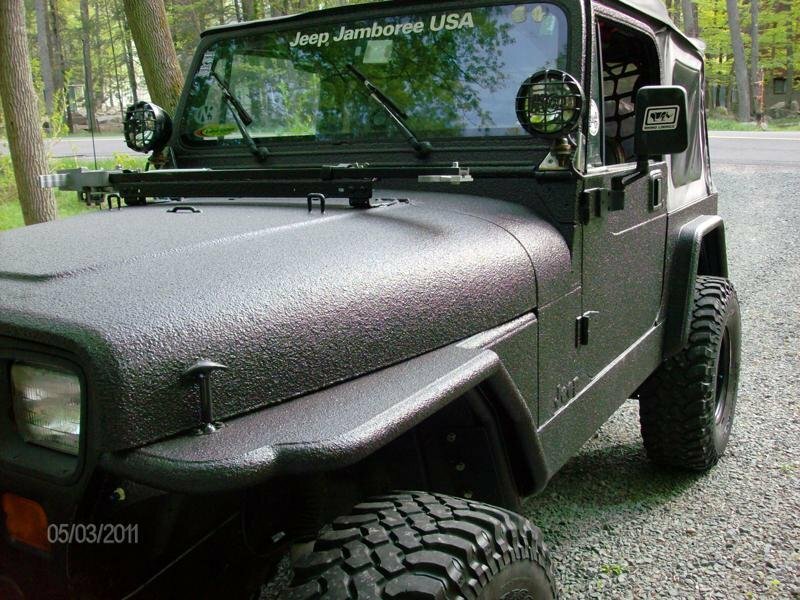 I had a Rhino coating sprayed on 11/03/2011. It's sprayed over the rails. It looks great. It's much better looking, thicker and feels tougher than do-it-yourself coatings I've seen installed. I think it will work better than the hard slide in liner I installed in a truck in 1990. The "certified" installer did a great job. Its price compared favorably with others but I think it's a better value because of the thickness and great looks. I just traded in my 95 F250 that was sprayed with a Rhino Liner when new for a 2011 F150. I noted that the liner was still in excellent condition (only fading). The truck was never garaged in my 16 years of ownership and it suffered sub zero Iowa winters and hot summers. As the truck became older, the level of abuse it took became greater and greater as you see the value of an "old pickup". I have hauled 3000 lb of stone, rock, sand, gravel, broken cinder blocks, cut up trees, demonlition debri,etc. with no failure of the liner. My last home project was a bathroom, and I backed the truck up to the bathroom window, removed the sash, and literally threw the debri into the truck, including plaster with wire, sharp floor tiles, toilet bowl, and cast iron tub. I could not believe the liner endured this after 16 years of thermal cycling and UV exposure. There are so many companies selling liners these days and probably few have the exposure that I've given the Rhino. I usually do not recommend products and often am disappointed with what is sold these days but I can definitely say the Rhino I had was the best money I have ever spent. I will spray my new truck with Rhino after settling on an installer. Thanks for a good product. I am building ATA Roadcases for my audio equipment, I own an Entertainment Group here in Springfield Mo, and I used your bed lining as an alternitive to laminated ply wood. Basicly I was able to save money on buying standard project plywood build my box and then use rhino lining to coat the box. Your product filled in all of the pits and imperfections and it is by bar more durable than laminated material. Thank you for your time and all of my future cases will only be made of this product as its coverings. Rhino Linings is definitely the best liner on the market. I put over 300,000 miles in 13 years on my truck and the Rhino Linings was the only thing that still worked when the truck finally died. I now have a brand new truck and, of course, a brand new Rhino Linings! This is my third pick-up with the Rhino Liner. My truck is now 9 years old and the liner is in excellent condition. It has seen tons of use and I am not amazed on how well it has held up. The first thing I do when I buy a new truck is to have a new liner installed. It is the best investment you could make. I bought a 1999 Ram in 1999 that already had a rhino liner in it and the truck now belongs to my son. The truck is a total wreck but the liner is still in perfect shape. I have been wanting to Rhino Line my Jeep for about a year or so now but I wanted to do a little something different than most people do with their Jeep. Ive seen a lot of Jeepers Rhino Line their interior which is great and I would love to do that eventually when I get the money but I decided to start with the outside since that takes the most abuse out on the trails. I participate with Jeep Jamboree USA once a year at my jamboree of choice and over the years the outside of my Jeep has taken a beating. I didn't want to put fresh paint on the outside just so down the road I would have to paint it again and worry about scratches. I wanted something a bit tougher and something that lives up to the standards of a Jeep, and Rhino Linings was the first thing that came to my mind. Anyway I wanted to send you guys at Rhino Linings an email and tell you how happy I am with the over all results of your product, and how awesome my Jeep looks now. I have received many compliments from random people and fellow Jeepers on how my Jeep looks. 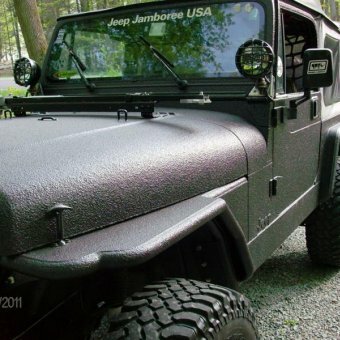 I will attach some pictures of my Jeep with this email if you guys are interested in seeing how it came out. Anyway two thumbs up from me. You guys have a one of a kind awesome product!! I wanted to take a moment to tell you how much I love your Rhino bed liner. These last for ever. My last truck was 8 years old and starting to rust on me, but the bed liner was like new. I use this bed liner every weekend for work and fun. With this I save my trucks bed and my load does not slip and slide in my bed. This truck has been rust proofed and the liner just put in. I’m sure this will be with me for the next 15 years. We wanted a bed liner that was good looking and durable. So we bought a name-brand plastic drop-in liner. It warped right away. They said it would form-fit eventually, but it never did. A jack stand punched a hole through the liner. Then, the replacement liner ripped when I loaded a yard of dirt. By then, we'd had it with drop-ins. What's worse, our truck bed was just a mess. It was badly scratched and full of rust. That's why we now have a Rhino Linings sprayed-on liner. For me, a product is more than the thing you buy. When I went with Rhino Linings, I was so impressed with the presentation, installation, service and quality of the lining. It all added up to a great product. 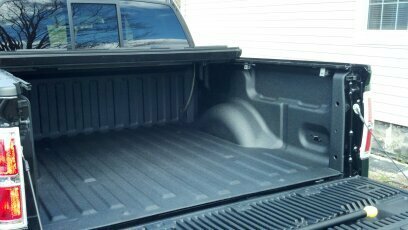 After the lining was installed, I naturally started to notice other spray-on linings and bed-liner solutions in other trucks. None of them looked as good. I bought my truck and immediately had a Rhino Lining put in. Well, that lining paid for itself after just one trip. After work I set my toolbox at the edge of the bed and drove home - several miles of twists, turns, bumps and hills. 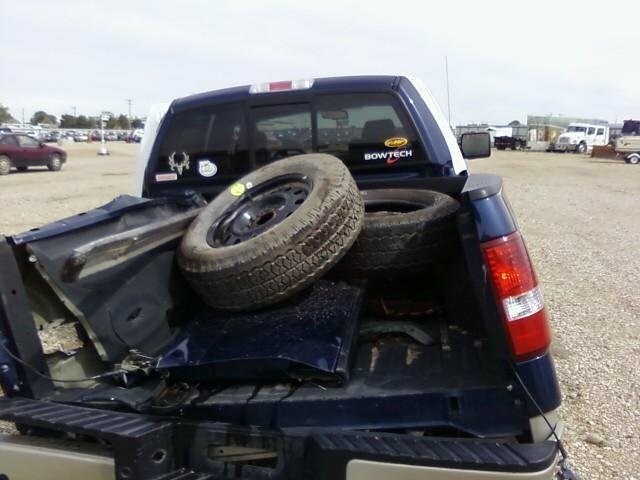 When I went to unload, I saw I'd left the tailgate down. I was sure my tools were gone. Instead, they were right where I left them - as if they were glued down. I've bragged how tough and good looking my Rhino Lining is. But now, I have a better story to tell. It began in 1988 when I won a new pick-up at the company Christmas party. I was in construction, so I saw the possibilities of using Rhino Linings to prevent rust and extend the life of my truck. Today, more than 200,000 miles later, my Ranger is on its second engine - but its original Rhino Lining. I figure God gave me that truck, so when anyone at church wants to borrow it, I say, ‘go ahead.' That bed liner has had paint spilled on it, chemicals, oil, even battery acid. It still works just like it did when it was new. WOW!! Thats all I have to say. 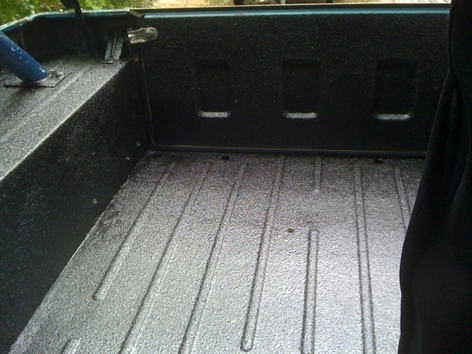 I had Rhino lining installed on the bed of my pick-up, I was so pleased with the results that I had my ATV done. Rhino is a quality product! Dura who??? all i can say is WOW. my dad bought a 2001 chevy 2500 off the lot in 01 and the first thing he did was bring it to get it rhino lined. after carrying crate engines, tool boxes, deer stands, 4 weelers, snowmobile(with studs), deer,and scrap metel the only thing wrong with the liner is a fiew cuts!!! when i restore my 78 chevy first thing i do is gonna get it rhino lined!!! i just want to tell you guys that Rhino Lining is AWESOME!!!!! Recently got the bed of my F-150 done so I could haul around firewood, mulch, drivewaystone, you know all that good stuff. I'm hoping that when i get my tax money i"ll be able to get the garage floor done. Also was wondering if it might be possible to receive a Rhino Lining t-shirt so I can show my support? Thank You. 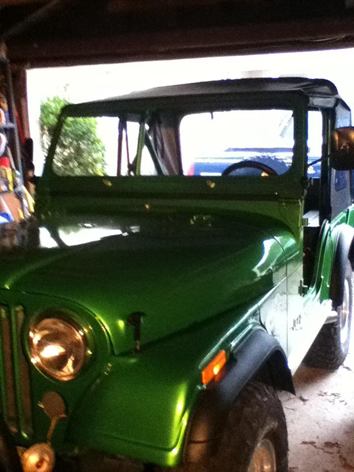 Here it is, my 1998 Jeep TJ ENTIERLY done in Rhino Lining Xtreme... The last owner was the one to do it... I also plan to do any of my future vehicles in the same style as it is extremly handy for off road, on trails and even just day to day being able to actually use my vehicle as they were first intended to be: "a tool." 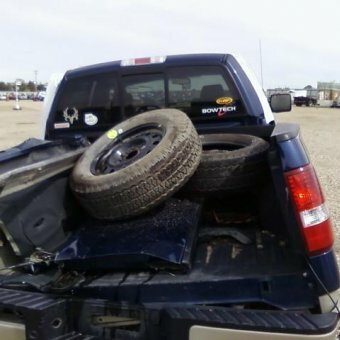 I can set or throw things on my hood without worrying or drive through a bush without worry of scratches....and forget about EVER keying this truck! Thanks RHINO LINER! 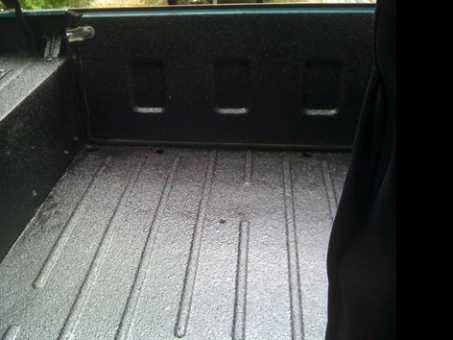 WE USE RHINO LINING TO PROTECT OUR CAMPING TRAILERS AND IT REALLY MAKES A DIFFERENCE!! !